Do you know Moses? He was the one chosen by God to lead the nation of Israel, God’s chosen people out of slavery Egypt and into the desert for many years. He was the middle-man, between God and the Israelites. During his time of leadership, he faithfully sought God’s will, listened to his voice, and taught the people the things God told him. He sought God’s mercy when they complained, grumbled and sinned. He also gave them many instructions on how they were to live, including the Ten Commandments and the verses below. In those days there was just family. It was in the family that faith was formed, shared and passed on. The Israelites didn’t have Christian teachers or schools or even Sunday school. They shared life and faith together as a family. Households continue to be the most powerful influence of the faith formation of children and teenagers. As parents are the natural first educators of their children, they provide the nurture and foundation for spiritual life. The instructions from Deuteronomy provide for us today, an inspiring directive to share the big story of God within our families. Many recent studies have shown that the importance of faith in the parents’ lives has a direct influence on the faith of their children. How is the word of God living and breathing in your life? In what ways does God ignite your heart so that you want to share with others why a relationship with him is important? Look for opportunities where you can learn and share too. Parents are designed to be the spiritual nurturers of their children (hint – not just the church). Starting with the ‘Faith 5’ is a great first step. Use this to be empowered to share how God is working in your lives. When we gather as family there is a sense of being comfortable, where we can be vulnerable with each other. When we share our highs and lows, read and teach the word of God, talk together about what this means, pray together and bless each other, we build vibrant and rich relationships. Ready to go further? Time to dive deep in the Word – helping each other ‘see’ God’s story of love and rescue and how His love is shared throughout the world, beginning with our own daily lives. Creating together as a family is one way we can bring beauty and vibrancy into our lives. Having a creative response time together will bring joy to even the youngest member of your family because there is no right or wrong way to create a masterpiece! Share your thoughts about the verses being read, ask wondering questions (e.g. ‘I wonder what you see… etc) and allow for the Holy Spirit to work during this time. Or design a fluid collective, creative space that might also be a ‘place’ where people can come, explore, read, sense, wonder, feel, create, pray and be encouraged. Have you thought about being part of a community of faith where your parenting role is valued and encouraged? 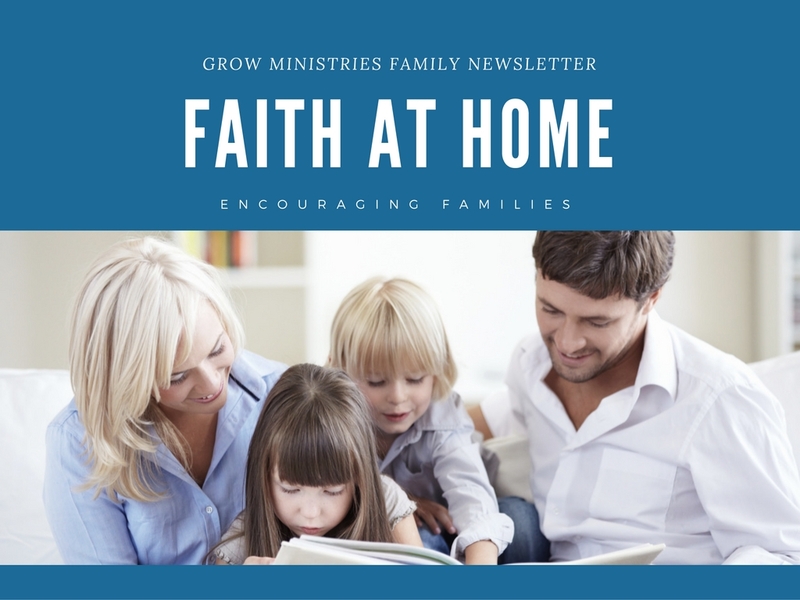 Church families can support households with faith formation at every stage of life. These can include times to share stories, serve, model ‘teaching and demonstration’ experiences that can be used at home, be engaged in rituals and traditions and build deep intergenerational relationships. Faith in your home might start small, like a mustard seed, but it has big potential. Pray over the words in the verses above. Ask God to speak to you where your family is, what is He calling you to do and be together as a family? Then be ready. Ready for transformation – ready for the beautiful work God will do in your lives as a family when you seek him together.